As someone who has been a part of the sales and marketing world for over 20 years, I have been able to improve my knowledge and understanding of the digital era through the use of digital marketing tools and technologies. #TechTuesday is all about sharing what I believe to be important applications for a business to grow online. This week is no different. Here is how to use Soovle. Soovle is a very unique search engine in the sense that it gives you suggestions based on your keywords from major web providers, including Google, Bing, Amazon, Yahoo, Wikipedia and YouTube. If you are struggling for content creation and need some inspiration, Soovle is a great tool to use. Because your customers could be coming from any search engine, you can use this tool to see how they are using keywords around your business to search for your product/service. Soovle uses all of the major web providers to give you your results and there isn’t another tool that will do this for you. If, for example, you are looking for businesses that sell gifts online, you can select only the search engines that are specific to this, e.g. Amazon or Buy.com. 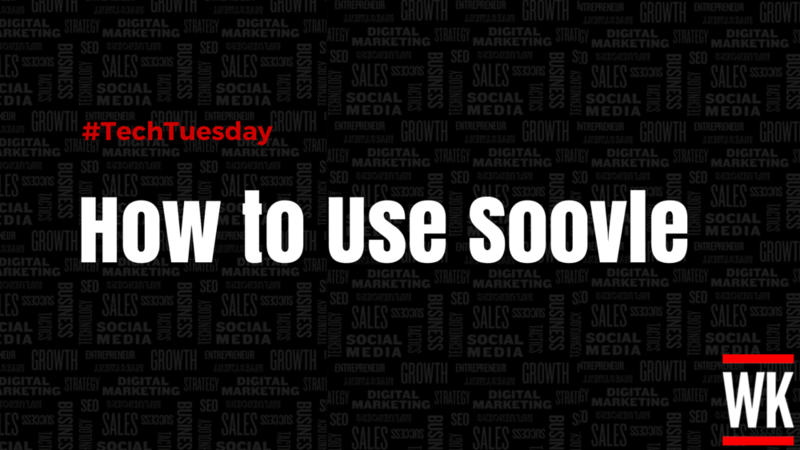 Soovle is a very simple and easy to use tool, and is definitely not time consuming. Once you type in your phrase, you will soon find what you are looking for, in a very in-depth but easy to understand way. Soovle also allows you to save your searches so that you don’t lose any of your data. Keep this in mind when you have a lot of keywords to research. Stay tuned for next week’s #TechTuesday where I will talk about another favourite tool of mine that will help you grow your business. To pre-order your copy of Think #Digital First, sign up here.